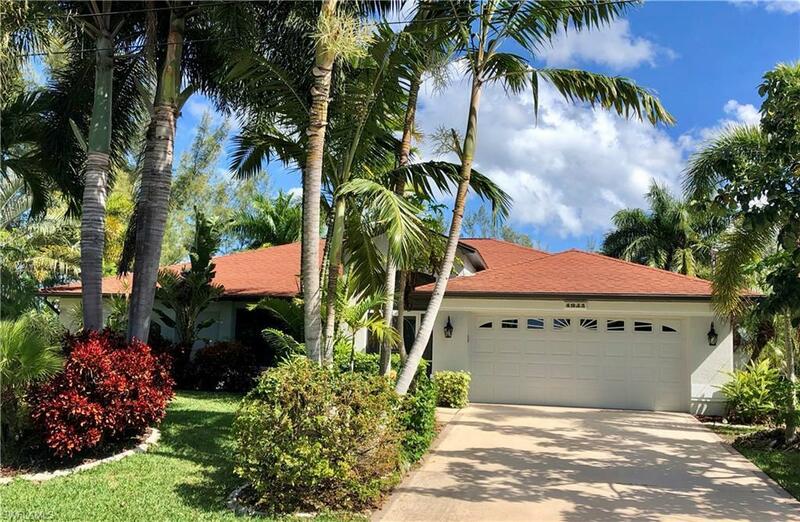 4935 SW 20th Pl, Cape Coral, FL.| MLS# 218052489 | Southwest Florida Residential Real Estate for Sale. Wow! Seller dropped the price and said sell! What a deal! This GULF ACCESS Home is a Must See! Great Southwest Cape location on the wide Hillcrest Canal. Almost 2000 sq ft under air and a STUNNING OUTDOOR LIVING SPACE that more than Doubles the total footprint of the home. Quality construction and Meticulously maintained with an Open and Unique floor plan. Cathedral ceilings in the Great room, a Beautiful kitchen with Stainless, Granite, Breakfast Bar seating, a Formal Dining Room with built in cabinets, and the essential Pool Bath. Pocket Sliders from the family room and master lead to an AMAZING Huge Saltwater Infiniti edge Pool, Spa, water features, and Under truss Screened Lanai that you'll fall in love with. The Tropical landscaping and the paved walkway gives a private resort style feel. Additional features include a laundry room with laundry tub, master suite with dual sinks and separate tub and shower, and a Nest Thermostat for remote operation. Entire Exterior of home just painted for a Fresh New Look. Furnishings negotiable. Make sure you click on the virtual tour link! NO LONGER IN A VACATION RENTAL PROGRAM SO IT'S NOW EASY TO SHOW!